Obdulia Diaz is a mother and grandmother, who has lived in Vista, California for 28 years after moving from México. 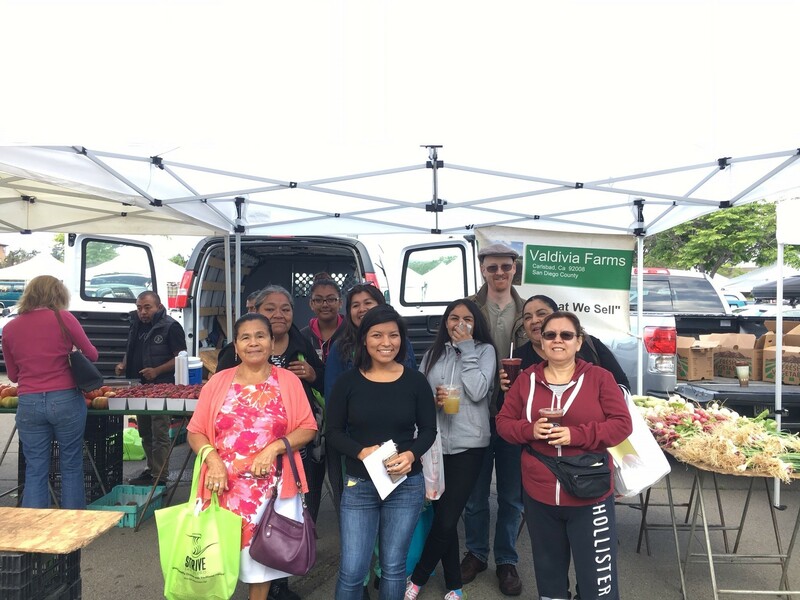 Obdulia started as a Promotora in 2011, when a líder (community leader) named Enriqueta Medina invited Obdulia to volunteer at the Feeding San Diego Mobile Food Pantry hosted by Vista Community Clinic. During this time Obdulia was facing some hardships and became depressed for many months and was unable to console herself. She recounts, “I would go to sleep crying and wake up crying.” Encouraged by her family and friends to find outlets to distract herself from grief, Obdulia accepted the invitation and started as a volunteer along with her two granddaughters, Yaqui and Ashley. Obdulia not only found a distraction from her grief, but a family. 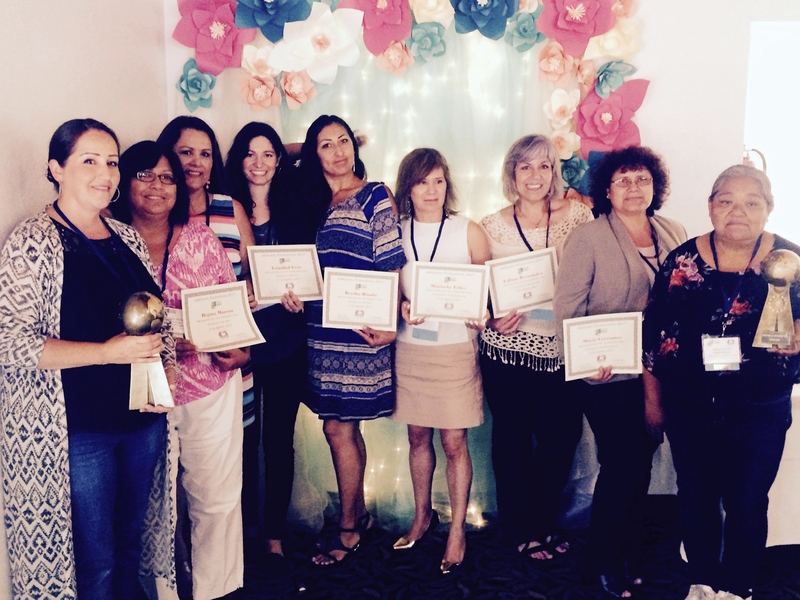 After 6 months as a volunteer, she took a líder training, after which she became part of Poder Popular, a large group of promotoras hosted by Vista Community Clinic. Her volunteer work led a growing interest in other trainings and the desire to receive training on different topics like the project ‘Boca Sana, Cuerpo Sano (Healthy Mouth, Healthy Body)’ as well as the impact pesticides have on one’s health. 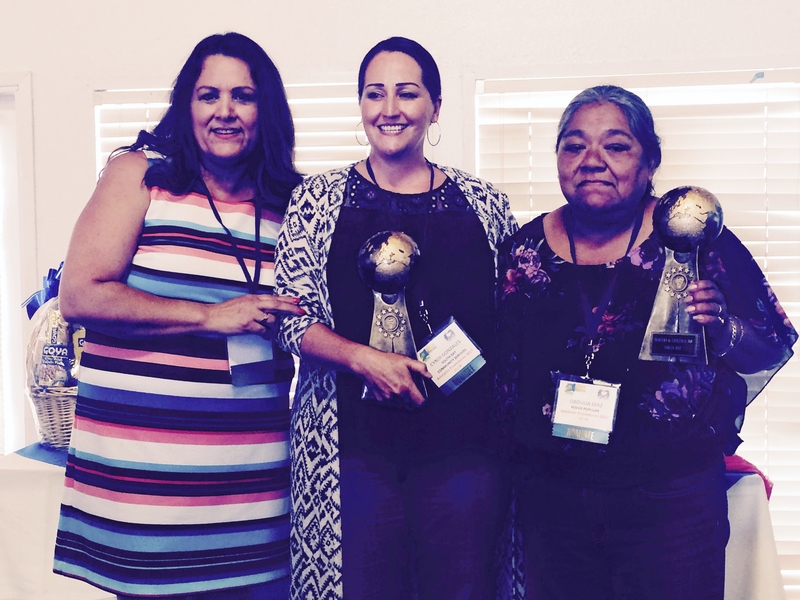 Becoming more involved, she continued to grow as a líder by attending Vision y Compromiso’s conference in 2016 and attending the Hunger Action Day, co-coordinated by Feeding San Diego, in Sacramento last May. 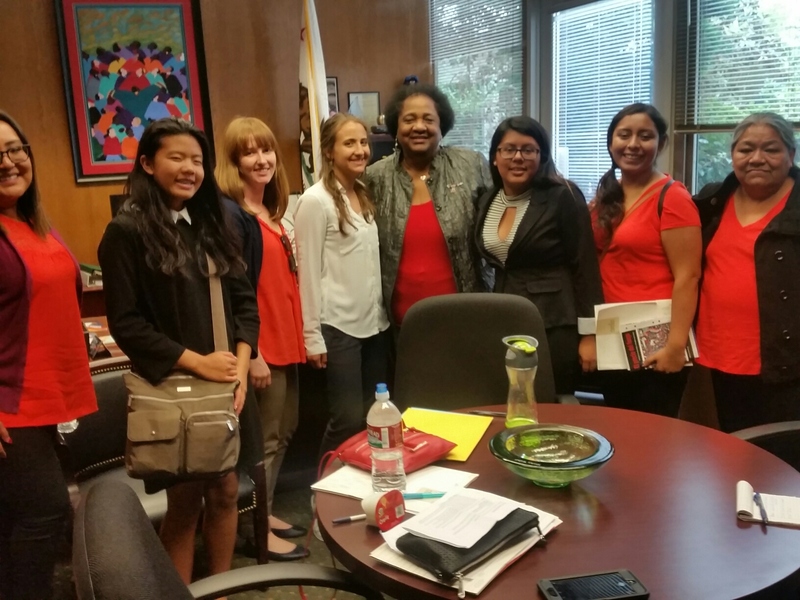 There she discussed with Assemblymember Shirley Weber and Rocky Chavez about adjusting the state budget to increase funds for Supplemental Security Income programs which assist recipients, including assistance in food expenses. Currently, her primary goals as a Promotora are to establish a community garden and improve walkways in her neighborhood. “In front of my house, the cars double park side by side, making it hard for pedestrians to walk. I see mothers having to fold up their stroller to go around cars and when they go around, it’s dangerous because there are no sidewalks elevated from the ground that keep pedestrians safe from traffic and moving cars, just a line. 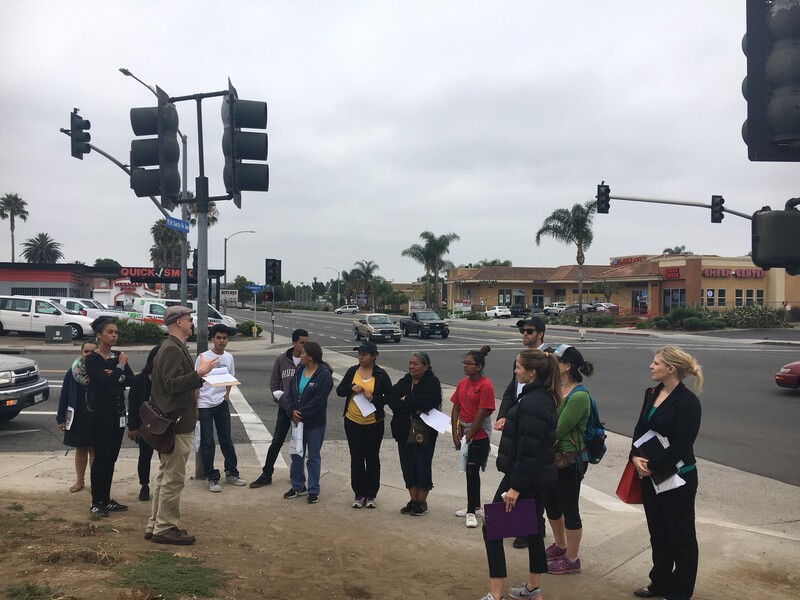 If not that, they go through the cars, and I see some people struggling, especially if they have strollers or groceries.” The training she received from the Resident Leadership Academy guides her work with the City of Vista and other supporting organizations. 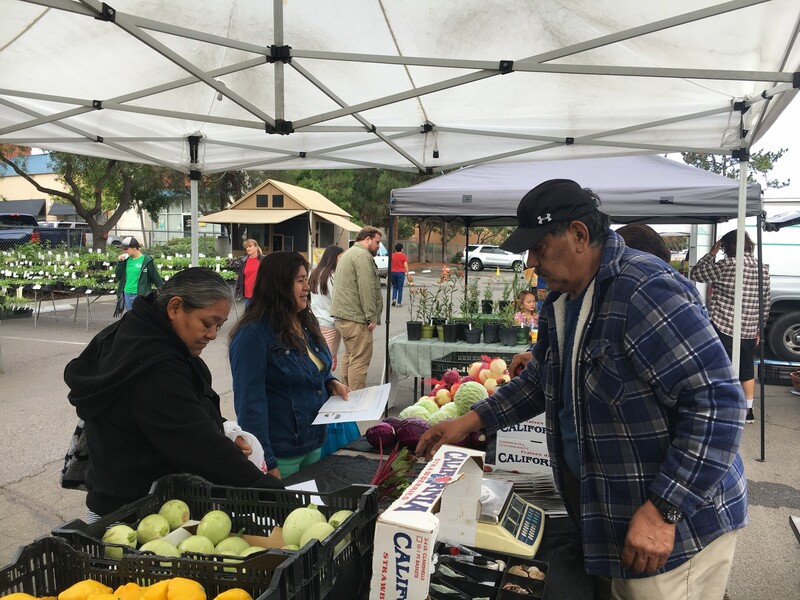 She says “I appreciate the attention the City of Vista gives and how the other organizations collaborate to ensure a healthier neighborhood for my community, including for my grandchildren”. Although at the beginning Obdulia was the one encouraging her granddaughters to go to the Poder Popular meetings and volunteer at community events, they are now the ones encouraging and motivating Obdulia. Aside from being cheered on by her granddaughters, Obdulia also volunteers because she believes that “La union hace la fuerza” (Unity makes us stronger). She would like to see her community’s health improve and to “salir adelante” (to move forward). She brings inspiration to many, including her neighbors, who congratulated her recognition as “Promotora de Exelencia 2017”. With the words, “It is never too late to learn” in mind from a fellow lider, Obdulia plans to continue growing and learning how to help her community.